Leaving is the Hard Part. Tucked away in the lush Texas Hill Country on the shore of Lake Austin, our spa resort is an escape from the everyday that feels like it’s in your backyard. Easily accessible from downtown Austin, we’re just a 30-minute drive from the city—or spend more time relaxing lakeside with a ride on our fast, convenient water taxi. For spa guests joining us for the day, please use the LakeHouse Spa entrance located on Riverbend Road. For resort guests, our main entrance is just around the corner on Quinlan Park Road. Once you’ve checked in, it’s a short walk up to enjoy pampering spa services. Read on for driving directions and a helpful map of our resort. With convenient pick up locations and stunning scenery along the way, you’ll be immersed in Texas Hill Country before you even arrive. 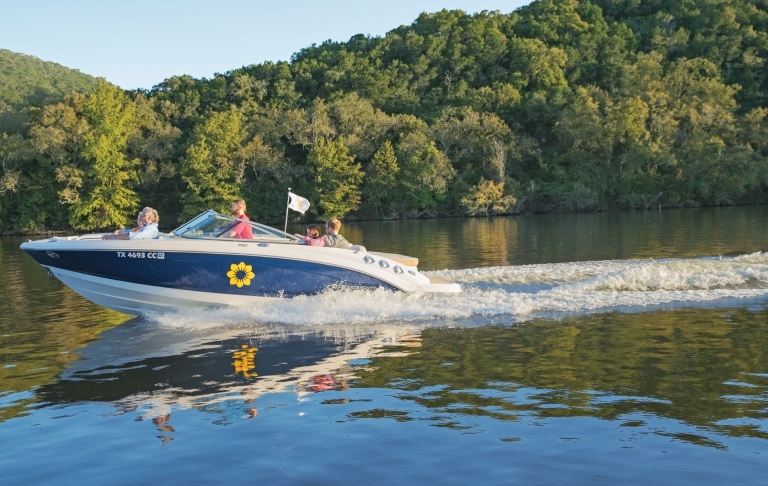 Start your Lake Austin experience in style with an invigorating ride from downtown Austin on our Luxe Water Taxi.